(Left to Right): Alfred Borg, Joseph Zammit, Josie. Urpani, Frankie. Zammit, Jackie Grech, Joe Cilia, Charles Mackay, Mario Azzopardi, John Darmanin, Tommy Taylor and Walter Bone. Many suggest that one of the best formations Valletta FC had was the one in seasons between 1958 and 63. Charlie Williams was intoduced to the Valletta team in 1961. During this time Valletta FC won the Championship three times, namely, the FA Trophy, the Cassar Cup and the Scicluna Cup. The usual formation consisted of: Tommy Taylor, Walter Bone, Edwin Schembri, Charlie Mackay, Joe Cilia, Jackie Grech, Joe Zammit, Josie Urpani, Mario Azzopardi, Frankie Zammit and Alfred Borg. In 1961 Charlie Williams replaced Jackie Grech in the squad. Grech had retired from the squad in 1960. Charlie Mackay was transferred to Floriana in 1962. The Valletta FC formation for the 1961/62 season was Albert Zarb Cousin, Walter Bone, Edwin Schembri, Charlie Williams, Joe Cilia, John Darmanin, Joe Zammit, Joe Urpani, Mario Azzopardi, Frankie Zammit and Alfred Borg. Jock Gilmour was their trainer in season 1958-59. Valletta FC had a great start but in the first round there were doubts about the potential of the team when they were held in a draw three times and also lost some matches. But the Valletta FC’s strength came much later, when they won seven consecutive matches. 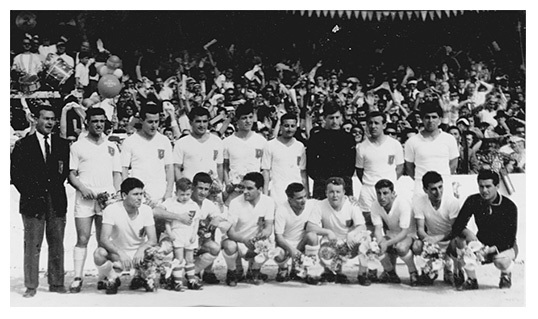 The following season 1962/63 Valletta became champions again and the formation of the team was as follows: Tommy Taylor, Walter Bone, Edwin Schembri, Charlie Williams, Joe Cilia, Frankie Zammit,, Joe Zammit, Joe Urpani, Mario Azzopardi, Alfred Borg with Paul Gauci and Tony Calleja alternating as subs. The triumph continued when the team won the Cassar Cup against Hamrun Spartans 2-1. Valletta FC nearly won the Triple Crown during the final of the FA Trophy. In the final of this competition the Lilywhites were winning 1-0 against Sliema Wanderers but in the dying minutes of the match Sammy Nicholl equalised for the Wanderers. After extra time the match ended in a draw result. During the replay Valletta FC started as favourites but a fortunate goal landed the FA Trophy to Sliema Wanderers. The 1959-60 season was a copy of the previous one. Valletta FC retained the title but this time they won the FA Trophy for the first time, but unfortunately they missed the Triple Crown losing the Cassar Cup. 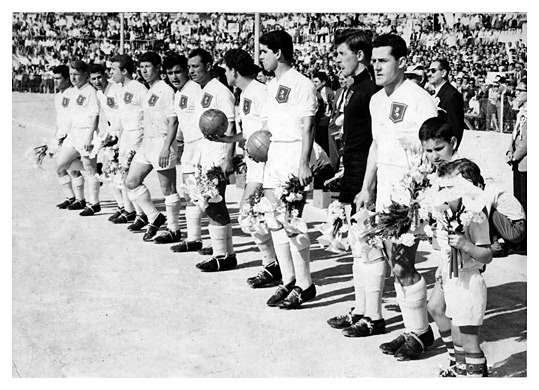 During 1960-61 season Hibernians managed to stop the Valletta FC’s monopoly. Although Valletta lost the Championship and FA Trophy, they won the Scicluna Cup 3-1 and stopped the control that the Wanderers had on the Scicluna Cup. The Previous edition 1963-65 which was made up of many famous players including Stivala, Carbonaro, Charlie Williams, Leonard Mizzi, brothers Vassallo, Chircop, Gauci, John Attard and others also won many honours. This formation won the FA Trophy in season 1963-64 against Sliema Wanderers 1-0 and the Scicluna Cup final against rivals Floriana 2-0 in the final. 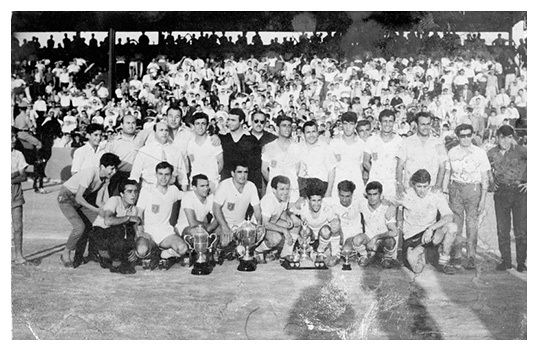 In 1965-66 season, they won the Cassar Cup eliminating Sliema Wanderers in the final 3-1. 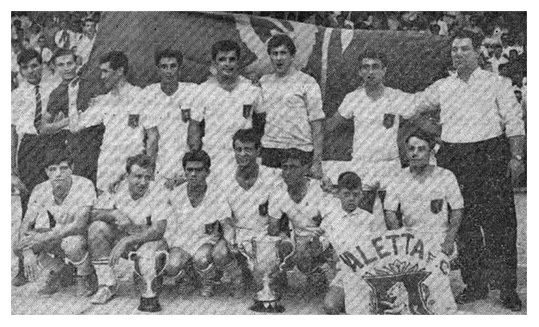 The success made by Valletta FC in the Cassar Cup continued in 1968-69 season, they won the last edition of the Cup against Sliema Wanderes 2-1.